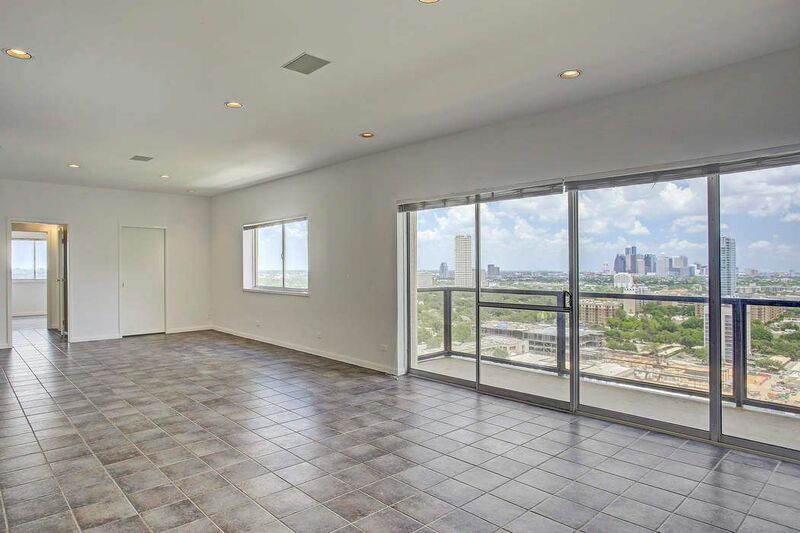 2929 Buffalo Speedway Unit 2101, Houston, TX 77098 | Martha Turner Sotheby's International Realty, Inc.
21st floor of 23 levels. Freshly painted white throughout including closets and shelves. Indirect lighting in all the rooms, surround sound speakers in living and dining area and kitchen. This floor plan is unique to this unit, the architect plans from the firm of Pleas Doyle Architects are available. 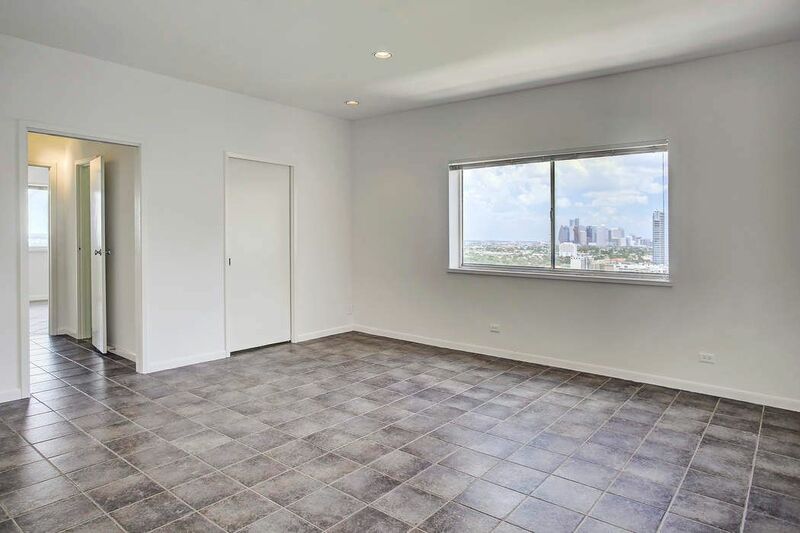 Stunning east views of Downtown are captured from the kitchen and living and dining area. North views of River Oaks and baseball & football fields down below. 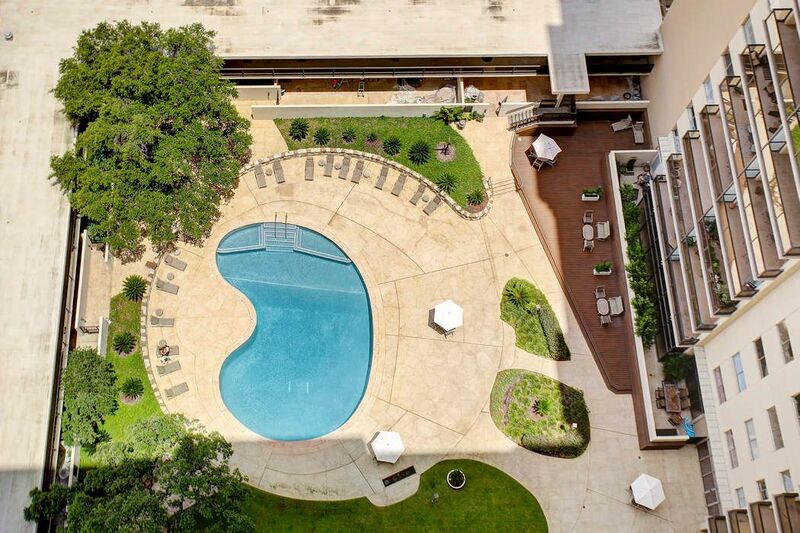 The balcony is great for viewing all the firework displays on July 4th of River Oaks Country Club and the city of Houston. The pocket door leads into a extra closet or cozy private office with a dual entry for easy access from the secondary bedroom or master. Another fabulous view from the living room window. A view of the open L shaped kitchen with glass wall and breakfast bar. Brookhaven solid wood cabinets with Epoxy resin counter tops that are non-porous & moisture resistant. The servants entrance door from the hall allows for easy access with groceries. 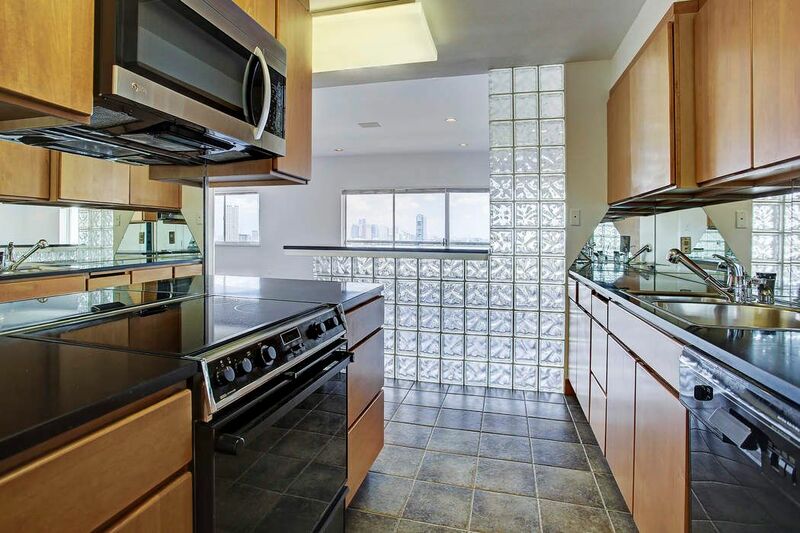 The mirrored back-splash & glass tile wall divider increase the natural the in the kitchen. 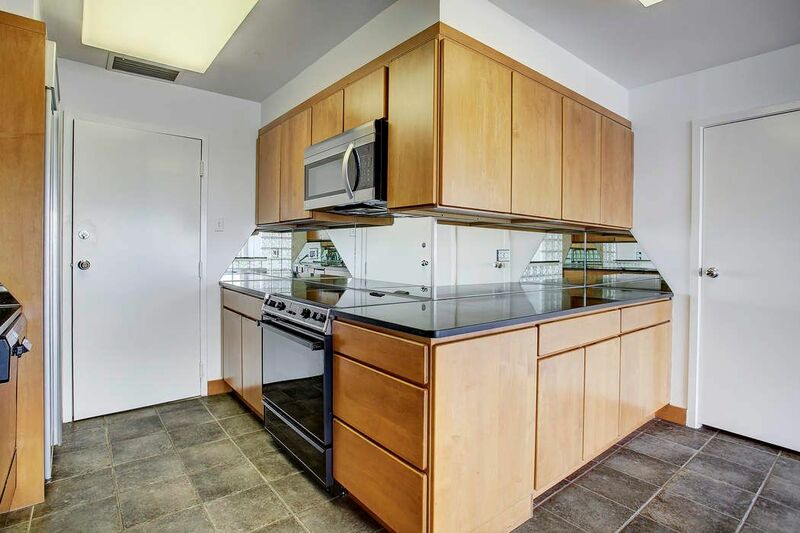 The bonus walk in kitchen pantry is approximately 4x5. 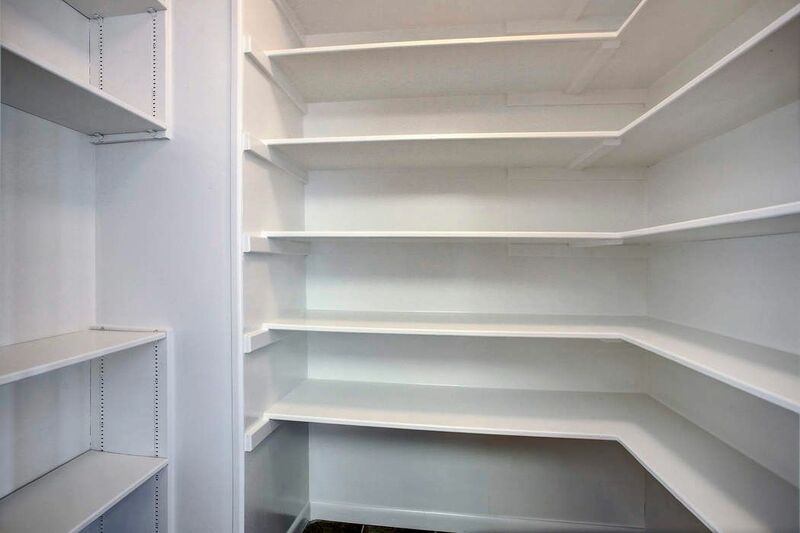 An amazing use of space in this unit. The bonus hall closet is 14' long & 4' wide. 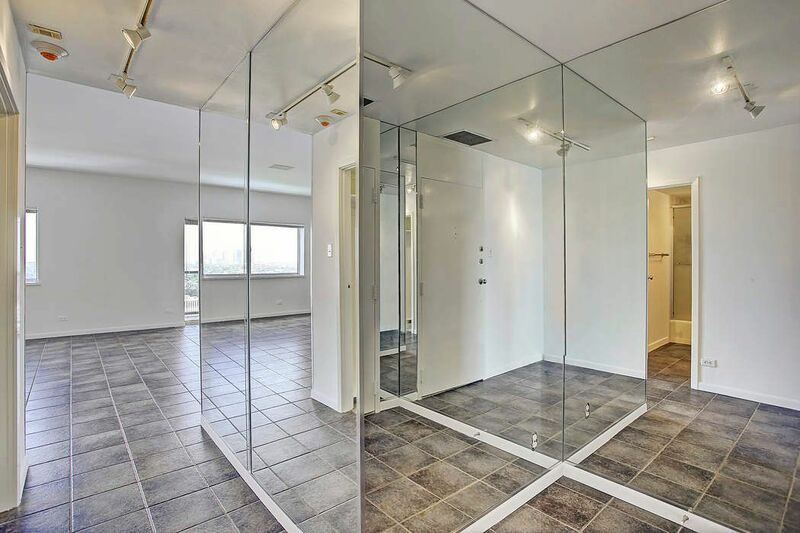 This ingenious use of space was created by using the existing hall in the original floor plan. The en-suite master bedroom has two walk in closets and a north window with views of River Oaks green tree tops. 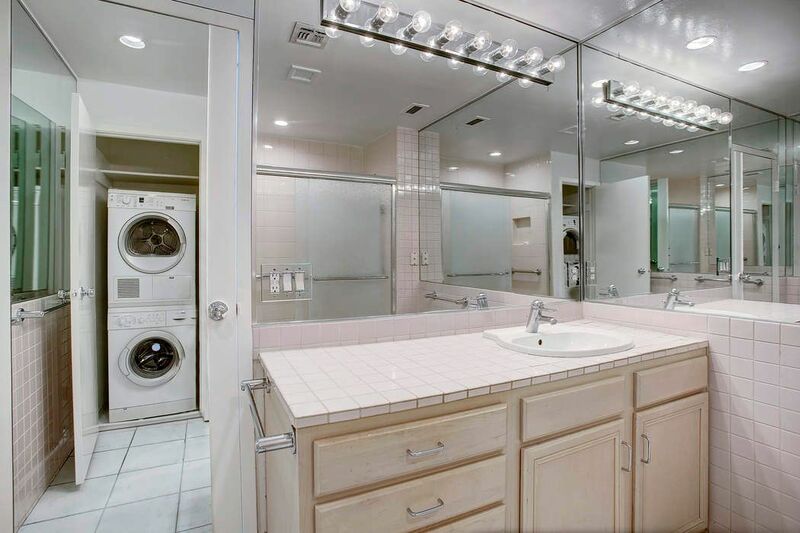 The mirror reflects the walk in shower with rain glass doors & the stacked energy efficient Bosch washer & dryer. 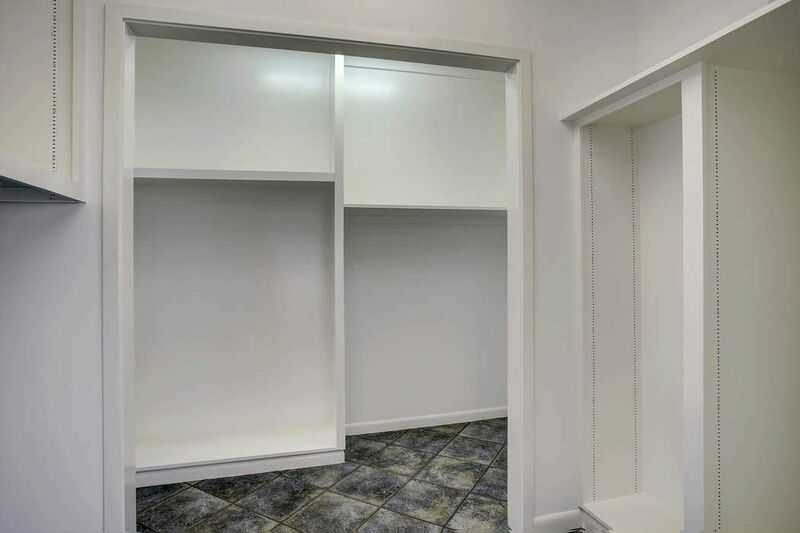 Extra closet between the secondary bedroom and living area is approximately 8x8 in length and width. Shelves are now installed and are adjustable. The guest bathroom has a tub shower combination. 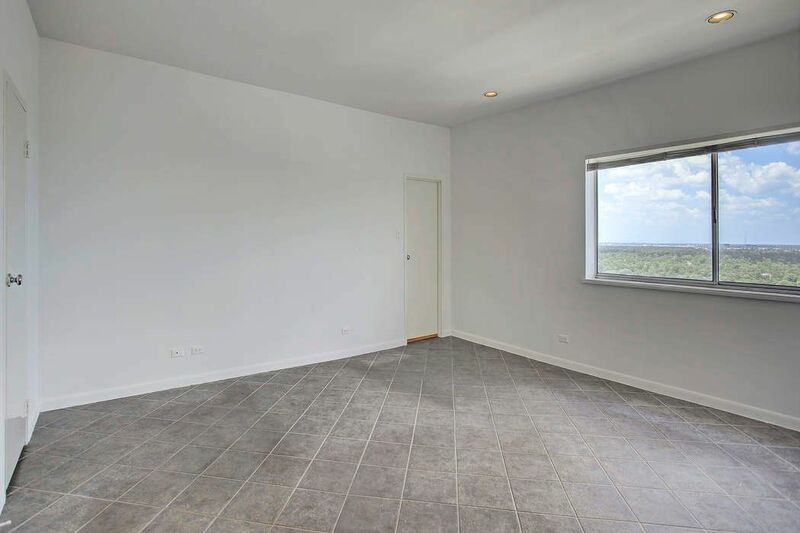 The secondary bedroom or study is 13x12 and has the window to the north. View of the pool from the 21st floor balcony. 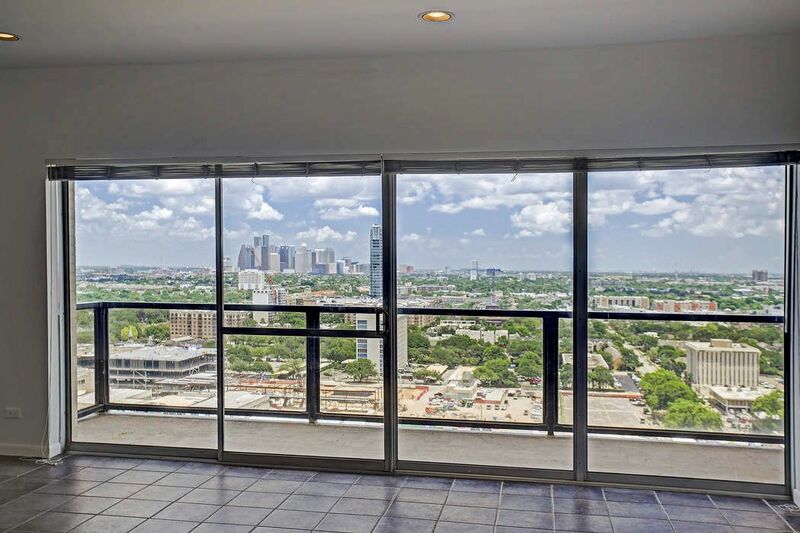 Lamar Tower is a full service highrise with 24/7 concierge and valet service. 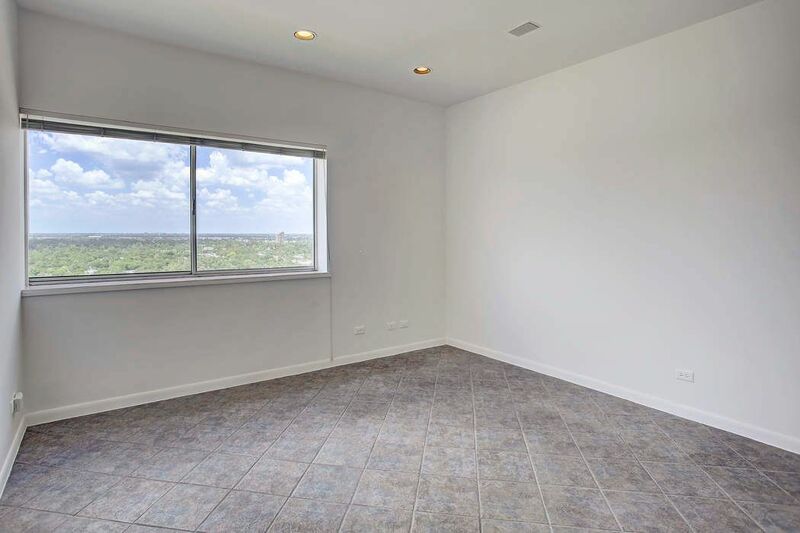 $515,000 2 Bedrooms2 Full Baths1,704 sq. ft. 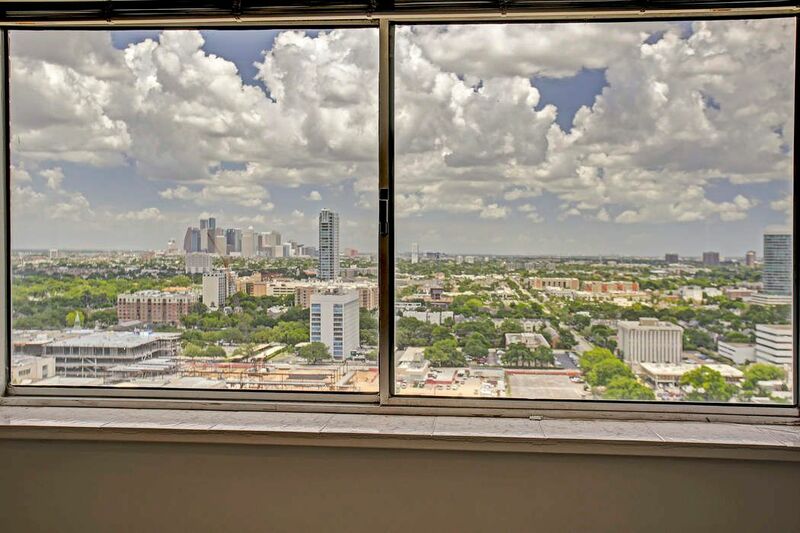 Corner unit on twenty-first floor with breathtaking Downtown skyline and River Oaks tree top views. 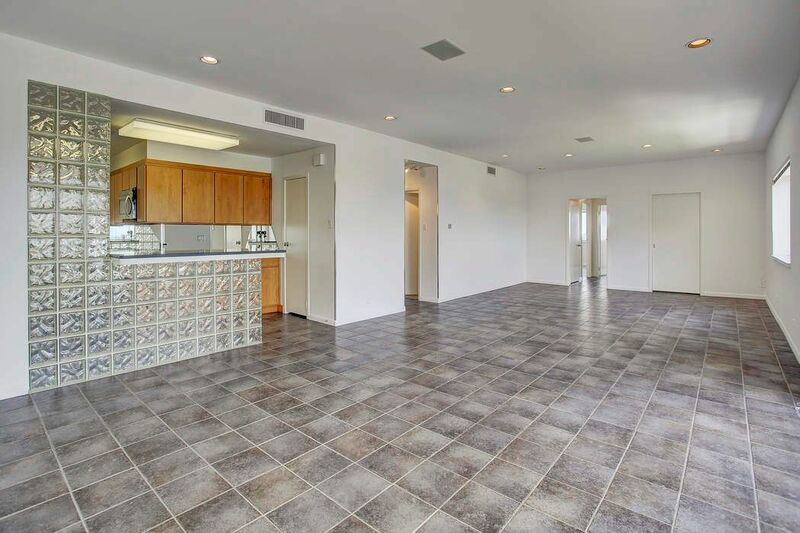 The redesigned floor plan offers an L-shaped kitchen with large walk-in pantry. 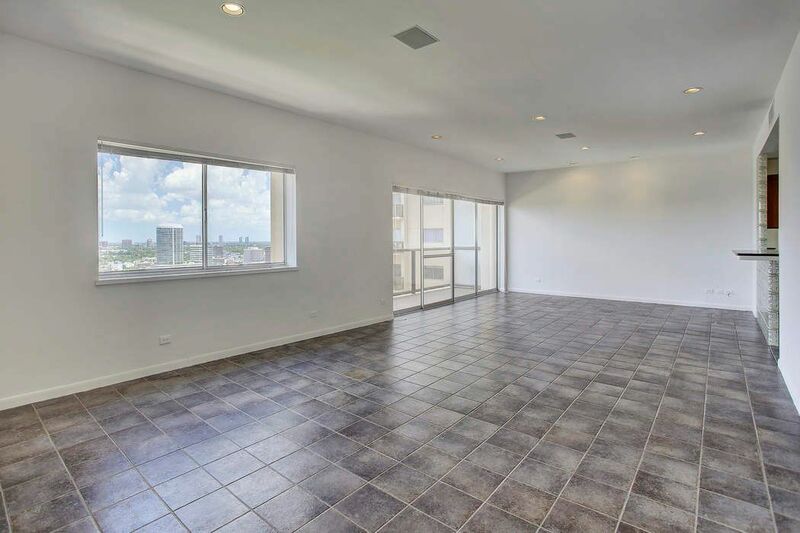 The kitchen is open to the combined living and dining room with sliding doors that lead out to the scenic balcony. 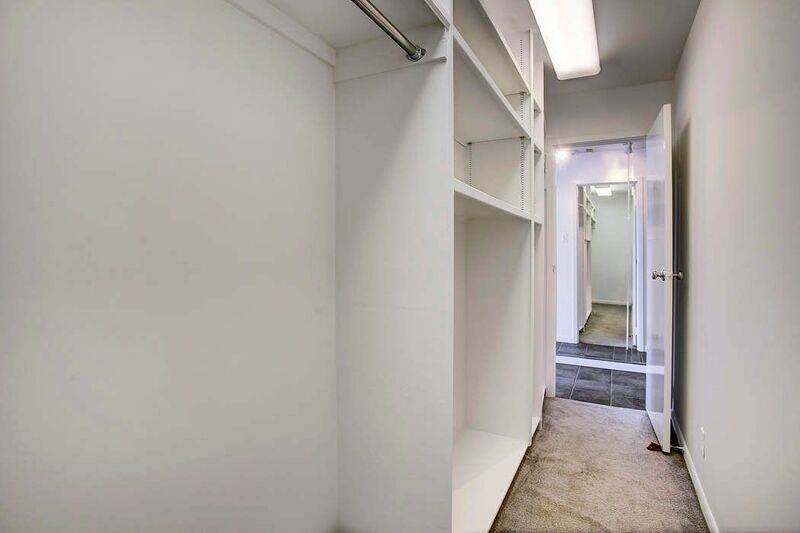 Conveniently placed extra closets include the interior entry hall closet plus an extra storage space off the living room that can be used as a mini office. The master bedroom and secondary bedroom have windows to the north. 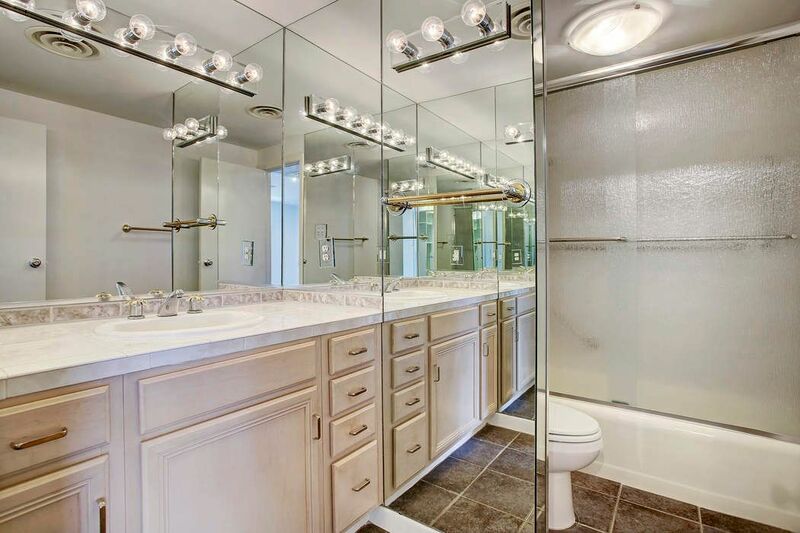 The master bath has a walk-in shower and a hidden stacked energy efficient Bosch washer and dryer set. 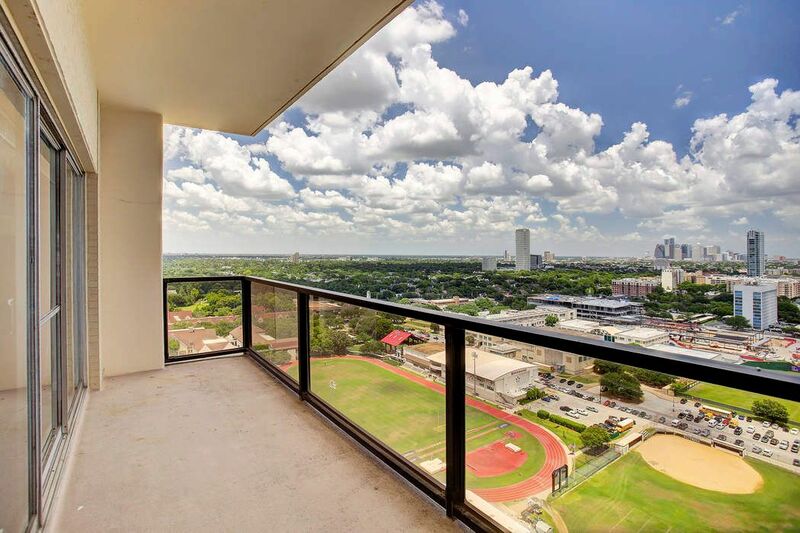 Full service high rise offers a concierge, valet, porter service, gym, pool, dog park, outdoor grilling areas and onsite management office and maintenance department. Monthly maintenance fees cover full utilities, including electricity and full service or replacement of the a/c and heat unit. 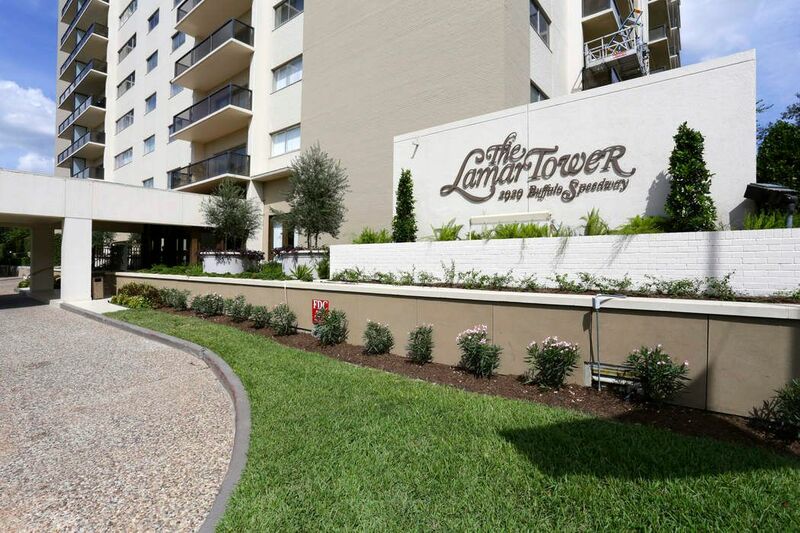 Lamar Tower is located in the Upper Kirby and River Oaks area, close to restaurants, grocery stores, retail shopping and wonderful schools.